Use this resource as deep practice in preparation for the 9th or 10th grade ELAR STAAR exam. Use the resource as either a quick warm-up or as an anchor text for further reading. 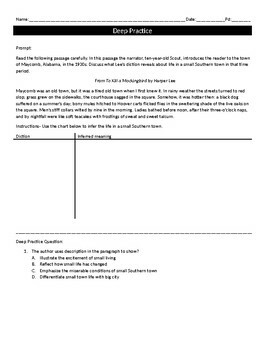 The resource will guide students through a quick read of an excerpt piece from Harper lee's To Kill a Mockingbird. Have students use the graphic organizer to pull meaning from the diction and imagery. 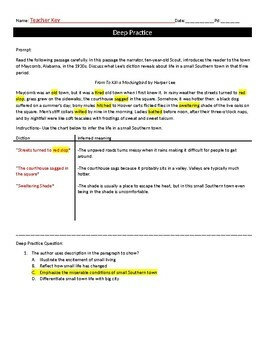 After students work their way through the text, students are then given a STAAR style deep practice question to answer.